We apologize for last-minute cancellation! EVENT DATE: Saturday, May 10, 7:00 p.m. The Powerdown Show is a series of ten 20-minute films by Cultivate Living & Learning in Ireland that explore how we might positively adapt to climate and energy uncertainty and build sustainable communities. If you’ve ever wondered what the Transition movement is about, this series answers that question and takes a fresh and engaging look at community responses to the converging challenges of global warming and peak resources. 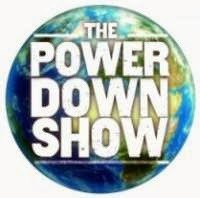 The Powerdown programs have been broadcast by community and public access TV stations in Ireland, Canada, and Australia, as well as being screened by Transition communities from all over the world. Transition Mar Vista/Venice will screen four episodes in the series, followed by a discussion among audience and TMV/V members.